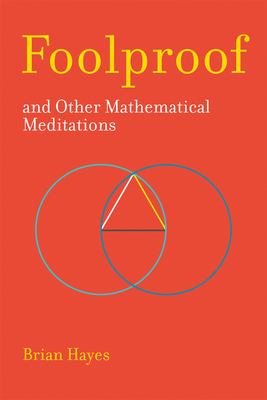 A non-mathematician explores mathematical terrain, reporting accessibly and engagingly on topics from Sudoku to probability. Math has a bad reputation: dull, difficult, detached from daily life. As a talking Barbie doll opined, "Math class is tough." But Hayes makes math seem fun. Whether he's tracing the genealogy of a well-worn anecdote about a famous mathematical prodigy, or speculating about what would happen to a lost ball in the nth dimension, or explaining that there are such things as quasirandom numbers, Hayes wants readers to share his enthusiasm. That's why he imagines a cinematic treatment of the discovery of the Riemann zeta function ("The year: 1972. The scene: Afternoon tea in Fuld Hall at the Institute for Advanced Study in Princeton, New Jersey"), explains that there is math in Sudoku after all, and describes better-than-average averages. Even when some of these essays involve a hike up the learning curve, the view from the top is worth it.